Giving Valentine’s Day cards to our sweethearts on February 14th is a time-honored tradition that dates back centuries. In fact, the first recorded Valentine’s Day card can be traced back to 1797! The popularity of sending elaborate Valentine’s Day cards especially skyrocketed in Victorian England. The more expensive the card was, the more elaborate it would be. It was all done in an effort to show their loved ones how they TRULY felt about them! Today, can you imagine making hand-cut, intricately detailed Valentines like they once did? You can—at Yucandu! Your Valentine’s Day CAN be handmade WITHOUT the hassle. Let us show you how! Here are three ways you can have made handmade Valentines this year. We’re all about giving gifts from the heart, and we can’t think of a more appropriate occasion than Valentine’s Day! You CAN evoke the sentiment of the Valentine’s Days of the past and pull your sweetheart’s heartstrings in the process. Come join us in for some open-studio time (for only $4 an hour or $12 for the day!) and watch your personal creativity flow into your handmade Valentines. 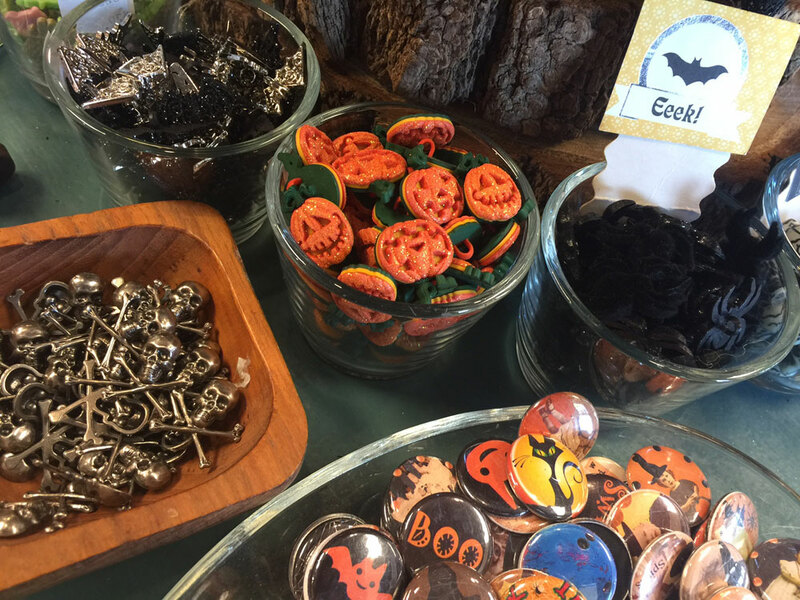 No appointment, hours searching Pinterest for ideas, or stressful trips to the craft store necessary. We’ll even clean up after you when you’re done! As always, we have wonderful NEW Valentine’s Day projects to inspire you. 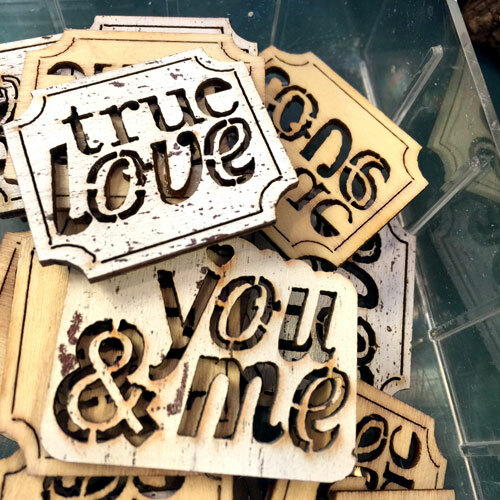 AND we have everything you need: all the tools, instruction and workspace you’ll need to craft handmade Valentines. 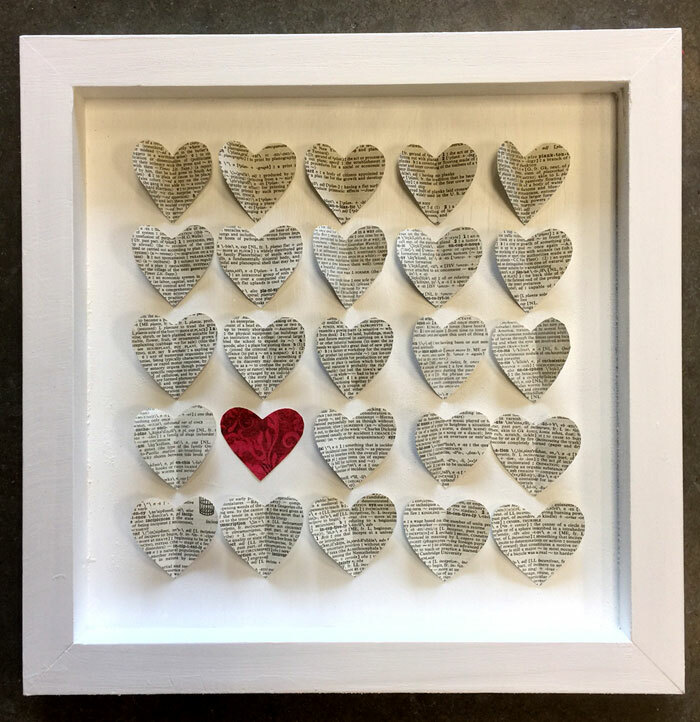 Using vintage book pages, dioramas, found objects, adorable Valentine’s Day-themed Artsy Additions (above), and so much more, you’ll be crafting Valentines that truly say, “I love you,” in no time. Experiencing the open-studio on a date or with your kids can be the gift within itself! We’re open until 9:00 pm Thursday-Saturday evenings, with half price studio fees from 6:00-8:00 pm each of those nights all year around. 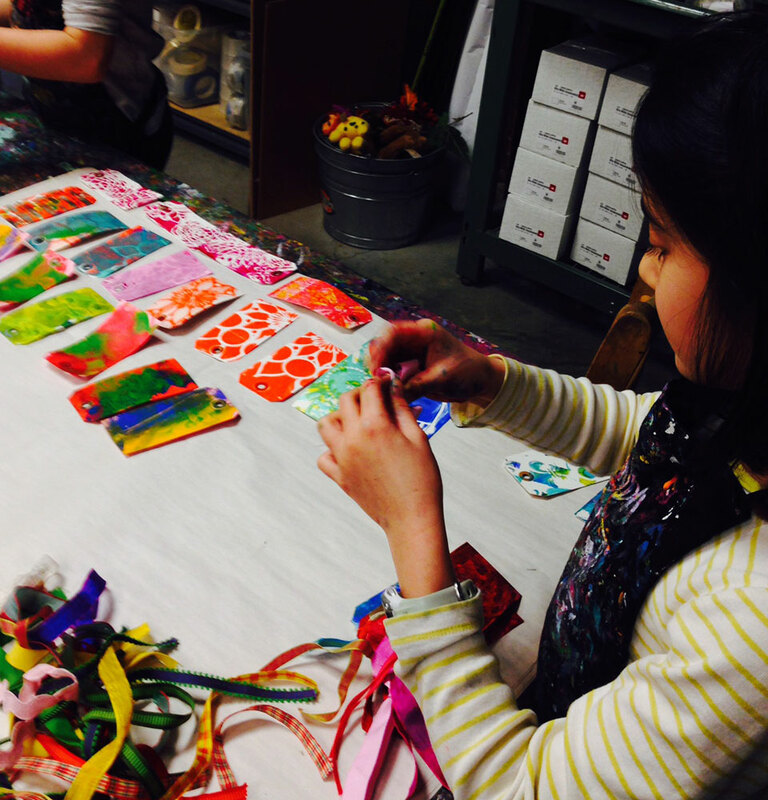 Another way you can enjoy making handmade Valentines is at the Girls’ Art Night Out event on Wednesday, Feb. 8! 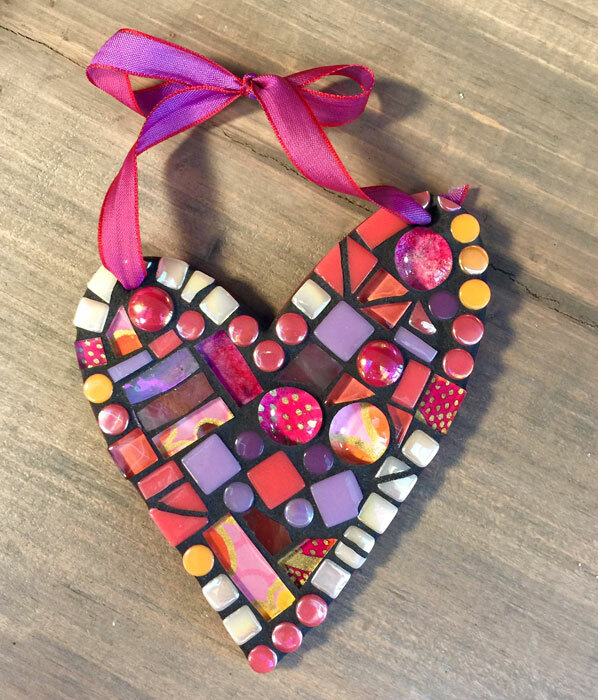 You’ll make three adorable mini projects (like the mosaic heart below), which are perfect for Valentine’s Day gift-giving. 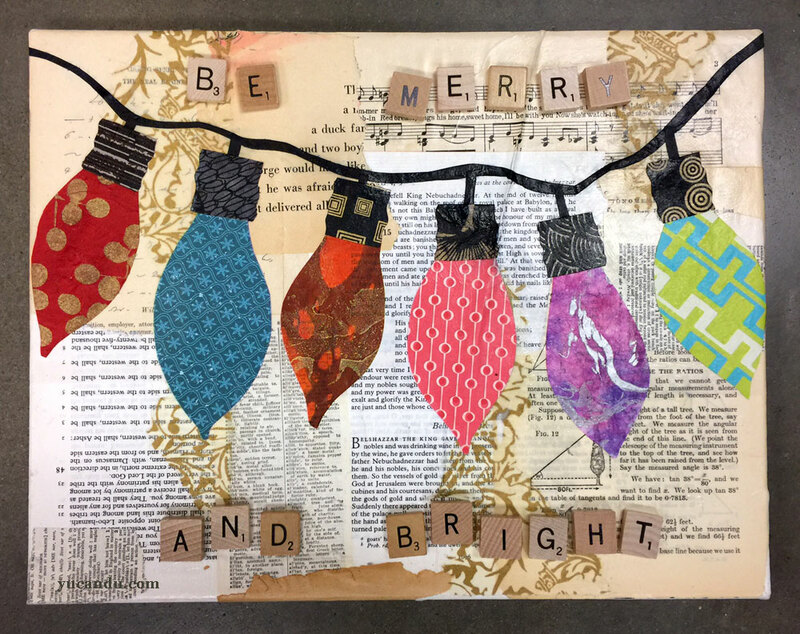 It’s also a great opportunity to spend the evening sipping on your favorite beverage and hanging out with other awesome ladies while doing something creative. Register today! It’s hard sometimes to get your kids to sit still long enough to have them even sign the back of their Valentines for their whole class, let alone MAKE them. BUT, they seem to LOVE doing it here. They’ll make enough unique, heartfelt Valentines for the whole class and their teachers, too. You drop them off and we’ll handle the rest! 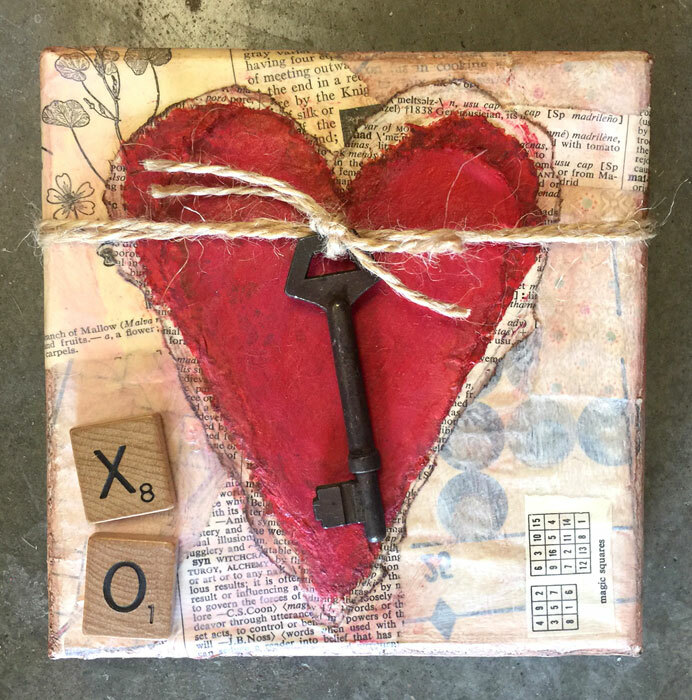 Register for our Valentine’s Day workshops today!